Do any supplements help prevent or treat a cold? There is evidence that certain supplements can reduce the chance of getting a cold and/or reduce the severity of a cold. 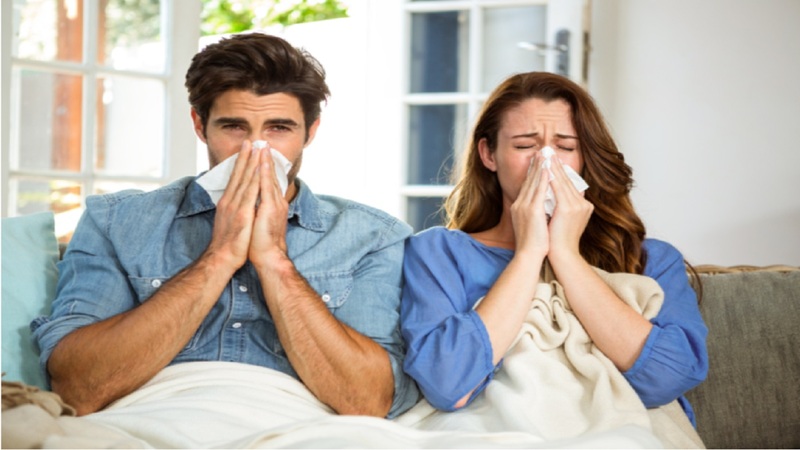 Zinc can directly kill cold viruses and, when taken as a lozenge (as opposed to a pill), it may significantly reduce the duration and severity of cold symptoms. However, it needs to be taken properly and at the correct dosage and it should not be taken for more than about a week due to concerns about excessive zinc. In healthy adults, a certain combination of probiotics taken for 3 months was found to reduce the risk of catching a cold by about 12% compared to placebo. The probiotics also reduced the number of days of symptoms among those who did catch a cold. Unless you are deficient in vitamin C, there's not much evidence that it can help prevent a cold. However, if taken routinely during cold season, it may reduce the severity of a cold. Evidence for echinacea has been mixed. In general, this herb may be more effective for reducing the risk of catching a cold, rather than reducing symptoms of an existing cold. One large study found that taking a branded liquid echinacea three times daily during cold season modestly reduced the risk of getting a cold; if taken 5 times daily during a cold, it reduced the amount of pain medication, such as aspirin, used during colds. Andrographis (Andrographis paniculata), sometimes referred to as "Indian echinacea," is an herb which has been shown in several clinical studies to help prevent colds and reduce cold symptoms such as earache, sleeplessness, nasal drainage, and sore throat. Much of the research on this herb has been conducted on a branded formula (Kan Jang from Swedish Herbal Institute) which contains a combination of andrographis and Siberian ginseng. Although generally considered to be safe and well-tolerated, it should be noted this herb may not be suitable for people with certain autoimmune diseases or gallbladder disease. Vitamin D supplements may help reduce the occurrence of colds and upper respiratory infections, but only in people who do not already have sufficient blood levels of vitamin D (20 ng/mL). In these people, moderate daily doses may be more effective than extremely large, periodic doses. For pregnant and nursing women, getting 400 mg of DHA from fish or fish oil supplements has been shown to reduce colds in their infants, but only for infants of women with otherwise low intake of DHA. Studies of a branded American ginseng extract suggest that it might help prevent colds. Preliminary evidence suggest that beta glucan (a type of soluble fiber from sources such as yeast or grains) may improve certain measures of immune system function — although the evidence is mixed as to whether or not this translates into a reduced risk of a cold . For example, a study in otherwise healthy adults who had recurring colds found that 900 mg of beta glucan (Yestimun, Leiber GmbH, Germany) taken daily for 4 months reduced the number of colds by 25% compared to placebo (Auinger, Eur J Nutr 2013), and a daily dose of either 250 mg or 500 mg of another beta glucan product (Wellmune WGP) was found to reduce the incidence of respiratory infections in runners when taken for one month following a marathon (Talbott, J Sports Sci and Med 2009). However, another study found 500 mg of Wellmune WGP did not decrease the incidence of respiratory infections in adults compared to placebo (Feldman, J Appl Res 2009). There is some evidence that a branded fermented yeast product containing beta glucan (EpiCor, Embria Health Sciences) may modestly help to increase certain measures of immune function and reduce the occurrence of colds. NAC (N-acetyl-cysteine) has been shown to thin mucus but there is little evidence that oral supplements help with colds. Oral NAC, however, may decrease the frequency of chronic bronchitis. Overall, the evidence is mixed on whether garlic supplements are effective against colds. However, as discussed in our Encyclopedia article on garlic, one study found taking a garlic supplement daily throughout the winter reduced the likelihood of catching a cold by almost two-thirds, and those who caught a cold recovered about one day faster than those who did not take garlic. Glutathione is an antioxidant produced in the liver which is important for immune function. It is sometimes promoted to boost the immune system or help to ward off colds. To date, one small study found that a dose of 250 mg or 1,000 mg per day for six months reduced oxidative stress compared to placebo - although there does not appear to be any evidence that it prevents colds or reduces cold symptoms. Some people have reported taking melatonin to help boost the immune system and promote sleep while having a cold. Very preliminary evidence suggests melatonin has some antiviral properties (Vielma, Acta Trop 2014), although there does not appear to be any research specifically on colds in people. Bromelain has been reported to reduce nasal inflammation and improve breathing difficulty in people with sinusitis. (ConsumerLab.com's Review of Digestive Enzyme Supplements includes products containing bromelain). There is some evidence that elderberry extract has antibacterial and antiviral activity, but a study of overseas travelers took either elderberry extract (600 mg per day for 8 days before travel and then 900 mg per day during travel for 4-5 days afterward were just as likely to get a cold as those who took a placebo. However, among those who did get a cold, colds were 2 days shorter and symptoms were less severe than for those who took the placebo (Tiralongo, Nutrients 2016). The study was funded by the manufacturer of the extract (BerryPharma, Iprona AG (Italy)). Astragalus is often promoted to help fight colds when taken at the onset of a cold. Preliminary evidence suggests it may help to stimulate the immune system, although there do not appear to be studies in people on the effects of astragalus on cold symptoms. Olive leaf extract is promoted to boost the immune system and fight colds. However, despite laboratory studies suggesting it has some antiviral activity, there are no studies on the effects of olive leaf extract supplementation on cold symptoms in people. Although some people have reported preventing colds with Oscillococcinum, a homeopathic treatment, there is little evidence for this use. Some studies have found a benefit for treating flu, although the evidence for this is also weak. There are many other homeopathic remedies proposed for preventing or treating colds, although, again, there is little quality evidence to support these remedies. Beta glucan in some studies is maybe the ultimate immune system support item. I have had no major sickness other than digestive issues in 3 years of using it. I don't get flu shots anymore. I visit a old person's retirement home environment a couple of times a week and work in a construction type environment in and outside, sometimes eat with dirty hands. I am in no means saying Beta Glucan can upset my stomach. Bad food does that. My go to for signs of a cold is Grapefruit Seed Extract. IMHO, Taken 3 times a day at first sign and until symptoms decline has kept my 80 year old body and my college going granddaughter cold free for the 2 years I have known about it. To defeat a cold I use a product called Viragon from Baseline Nutritionals. It has never failed me when taken at the very first symptom - even when I'm not sure it's a symptom yet. Doesn't do a thing if taken too late. The downsides are 1) it's not cheap and 2) it tastes awful. Well it would - it contains things like horseradish. Well worth it though, in my opinion. I have no financial interest in this or a competing product. Missing from this list is elderberry extract. Taken at the first minor sign of a cold it can prevent the cold. Taken after it starts it can reduce the length and severity. This is from my own experience, that of the person who recommended it, and the experience of every person to whom I have recommended it. Hi Linda - Thank you for sharing your experience with this. We've added information about elderberry extract in the answer above. I have had extraordinarily good experience over many many years using tincture (liquid pure) Echinacea for preventing colds from settling in and taking over. My fave brand is Herb Pharm (usually Super Echinacea), but I have used others. This my experience, and also works for my husband. This works best when 1. I catch it early, at first notice of symptoms like scratchy throat, a wet-ish sneeze, a bit of a drip, and 2. I use 2 or 3 full droppers-full (depending on how incipient and strong the symptoms) in a little water up to several times a day for up to a couple of days. Often symptoms retreat within a day. While there is "little quality evidence to support these remedies" [homeopathic remedies, that is], there is now clear evidence that homeopathic preparations are no better than placebo. My readings show that beta glucan (1,3 and 1,6) has properties that helps with many infections. I have found it useful. Also looked at any possible negative effects of beta gluten and found none. I would love to have CL comment. Hi Vinod - We've now added information about beta glucan to the answer above. Please address the use of mushrooms for their ability to boost immunity, like Reishi mushrooms and the others included in supplements such as Host Defense by MyCommunity. They have outstanding reviews on Amazon, and when I had a review of SpectraCell Lab results, I was told I should take Host Defense to boost my immunity. I have not seen any comments about EPICOR ~ the supplement derived from yeast ~ which my family and I have taken daily during the winter months for a few years to prevent colds ~ it works !! Larger, INDEPENDENT studies are needed to confirm these benefits as well as the long-term safety of Epicor. I have had dramatic result using Epicor. Whereas before using I had several colds a year I have had none since I started using it about five years ago. The same has been true for other members of my family. A new product from contains Epicor: Life Extension Florassist Nasal. It is expensive, but the main reason for high cost is probably the other ingredient it contains: Lactobacillus acidophilus L-92. Epicor is from USA and L-92 is from Japan. L-92 is probably expensive even if you travel to Japan and buy it there. I have been using ELDERBERRY STANDARIZED for decades. In Germany it is taken throughout flu season. Echinacea when taken over 10 days lowers immune system. Too much zinc has toxic effects. STANDARDIZED ELDERBERRY, has been my go to for decades. When I fly I take one prior to flying and then another after landing. Now, I no longer get airplane flus or colds. Just be sure it is standardized otherwise who knows what you are getting. Haven't had the flu in years. No flu vaccine for me. If you do get sick take Elderberry ASAP and your flu or cold days and severity will be greatly reduced. Good life and good health to all. My son had purchased a zinc solution for use in detecting zinc deficiency. Feeling a cold coming on and being aware of Zicam, a zinc nasal spray product for dealing with colds, I decided to try snorting some of the solution up each nostril. I feel this worked in one application to knock out the cold virus. I have used it two or three times now. I believe Zicam is no longer sold in this country as there were reports that it permanently damaged the sense of smell in some users. The zinc solution I have is zinc sulfate heptahydrate in purified water, whereas Zicam contains zinc acetate and zinc gluconate and other things. Hi Robert - Based on the concerns with zinc given nasally, this approach seems risky. In addition, zinc's benefits have only been shown when used every few hours, not as a single application. Umcka Original Drops work great for me. It is best to start before the cold symptoms really take hold. If my throat gets scratchy or sore, or I'm sneezing more than I should... you know that time in process when you naively hope it won't get worse but then it does. Start then. I will also start it when I know I've been exposed, such as when my partner has gotten sick, or when I've been in a car with someone in the contagious phase. Then I don't get sick at all. It seems to keep the symptoms from getting worse while my immune system knocks out the virus. I take it up to 5 times a day for a few days, then taper off over a couple of weeks. I've avoided having a full blown cold for years now. They also have a Cold & Flu version, but I haven't tested that. I use the syrup and day/night powder at the first sign of cold and it seems to lessen severity and shorten duration. I like that it has quite a bit of research showing efficacy. I too am a big fan of UMCKA. the active ingredient Pelargonium is an African herb used for bronchitis. But UMCKA ColdCare knocks out my cold fast. I use the extra relief mint-menthol formula. I've been using Umcka for 10 years and have told dozens of people about it. I understand that it as approved by the German Commission E, for what that is worth. I also rely on Quercetin which usually comes with Bromelain. Agreed! I have been using it for over 10 years and always have a bottle on hand! It almost always works to prevent, unless the cold has gotten too far along. And I have suggested this product to several friends and family, whoever has tried it, has found it to work as well. It's a Swedish herbal, I get the "original" drops, add it to a bit of water. It has a pleasant, light taste. I understand it boosts the immune system temporarily. Not useful over an extended period. There are two protocols I have used over the past 5 years to prevent colds and nip them in the bud when the symptoms first surface. Before i disclose the protocols let me add that prior to 5 years ago a routinely had 4-6 upper respiratory events a year with a severe episode of bronchitis once ever 2-3 years. The first protocol is started at the first signs of a viral infection. It involves following the anti-viral program spelled out in the Life extension website at LEF.org. The ingredients include supplements having antiviral properties. These include pure garlic, Cimetidine (from Tagamet), DHEA, Lactoferrin, Zinc Loenges, Aged Garlic Extract (Kyolic brand) and Melatonin. For the last two years I have not used this protocol as I have had no serious cold symptoms. Two years ago I started taking Glutathione (GSH), the Setria formulation, 1000 mg/day. The friend who put me onto GSH claims to have not had a serious cold in 15 years. At the first sign of a cold, andrographis capsules, 3 x day for a few days and the cold does not develop and symptoms are gone. Does the herb "andrographis" have an effect on colds? Try cold fx it really helps! Personal experience. I find the combination of Yin Chiao and Oscillococcinum to be infallible. HOWEVER the Oscillo is only effective if taken at that first moment when you think you "might" be getting a cold. Take it then follow with Yin Chiao for three days, whether or not you feel better, which you most likely will. I also use zinc lozenges. Remember with the Oscillo to follow the instructions for all homeopathic remedies -- no peppermint, alcohol, coffee, clean mouth, etc. Can any of this be generalized to influenza? If not, could you do a follow-up article about supplements and the flu? This CL Answer initially posted on 9/26/2015. Last updated 3/11/2019.